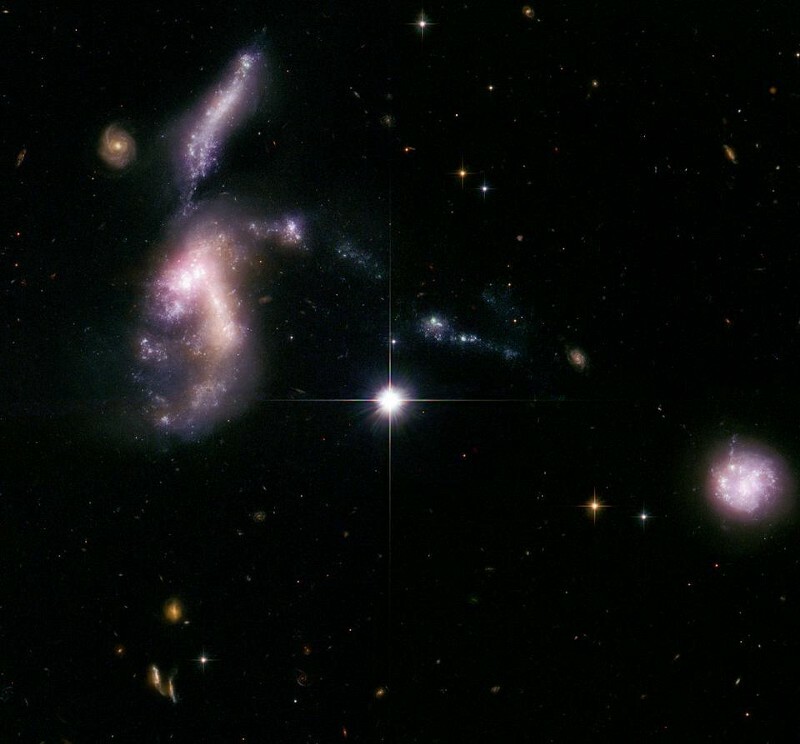 The four galaxies of Hickson Compact Group 87, as imaged by Hubble. Two foreground stars towards the image center are part of the Milky Way. Image credit: ESA, NASA and The Hubble Heritage Team (STScI/AURA/NASA). The ‘compact galaxy groups’ of the Universe won’t be around for long! They might call it “empty space” because of the great distances between the stars and galaxies, but the reality is that space is filled with billions of them. 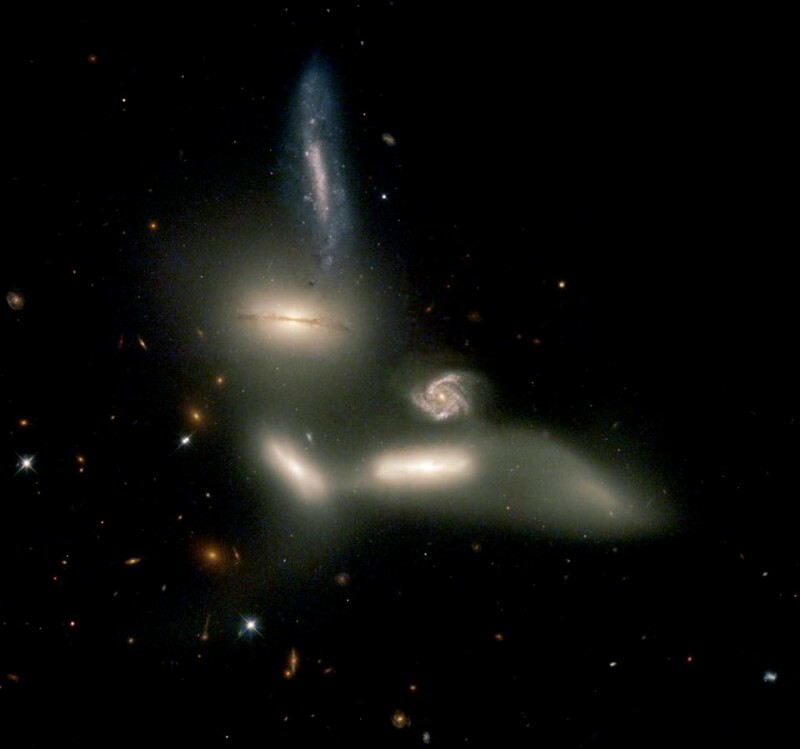 A selection of the galaxies grouped closely together in Hickson Compact Group 44. Image credit: Hunter Wilson, under a c.c.a.-s.a.-3.0 license. 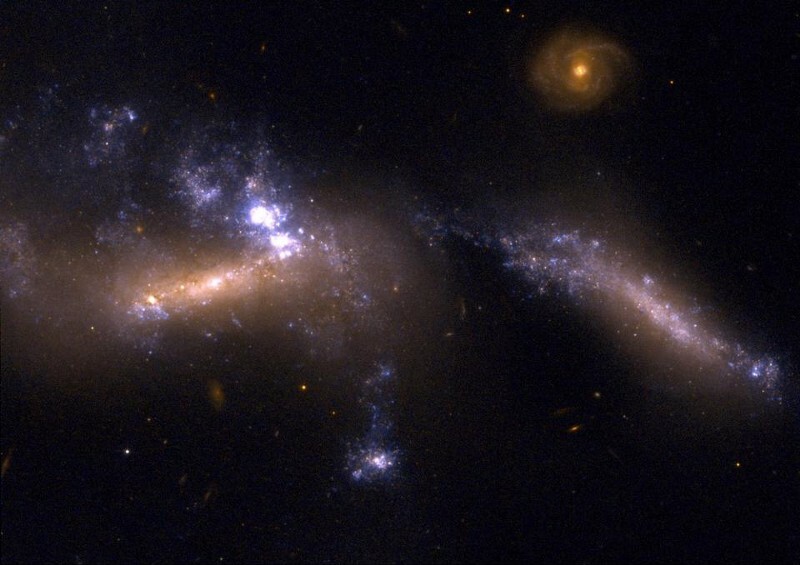 Most often, there are millions of light years separating the galaxies from one another, with galaxy mergers and collisions a rare occurrence. 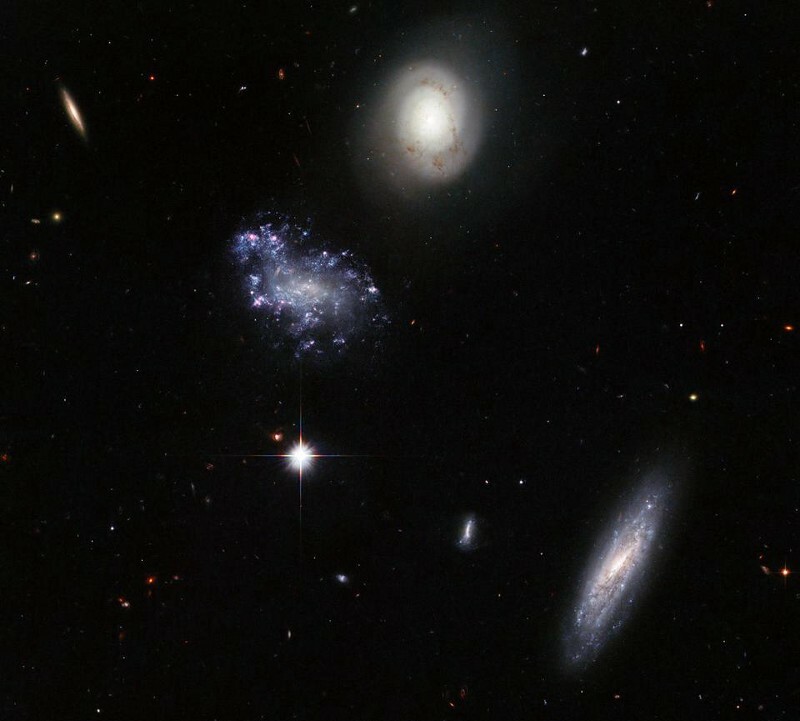 Four of the seven member galaxies of Hickson Compact Group 16. Image credit: NASA, ESA, ESO; Acknowledgement: Jane Charlton (Pennsylvania State University, USA). But there are a slew of galaxies that are found tightly grouped together, with three or more found unusually close together. 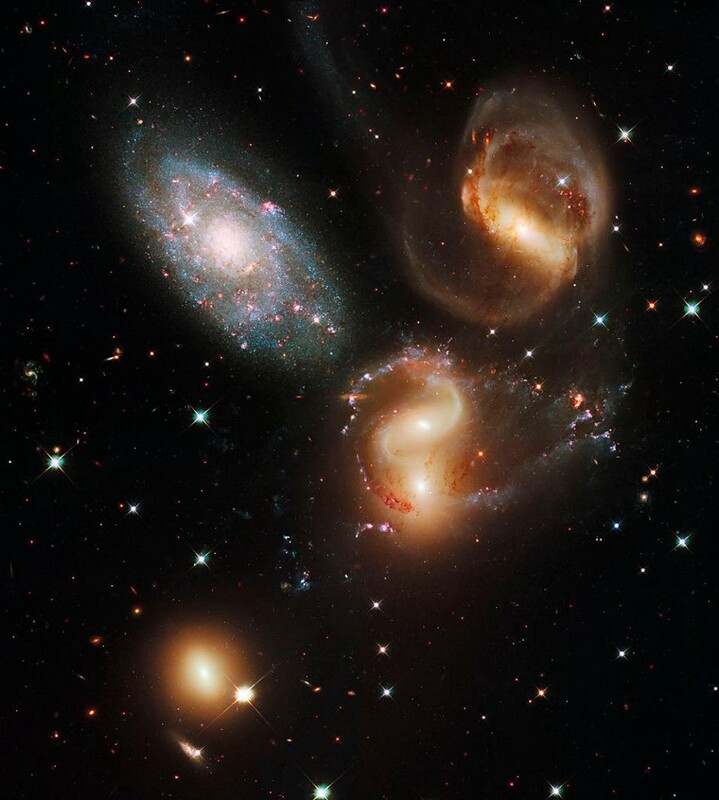 Stephan’s Quintet, also known as Hickson Compact Group 92, consists of four galaxies gravitationally bound together and in the process of merging, along with a smaller, younger, closer galaxy (of a different color) that’s aligned only by chance in the foreground. Image credit: NASA, ESA, and the Hubble SM4 ERO Team. Known as compact groups, these collections are surprisingly numerous, and were first catalogued explicitly by astronomer Paul Hickson in 1982. The different shapes, structures and morphologies of some of the galaxies in Hickson Compact Group 59. Image credit: ESA/Hubble and NASA. A combination of spirals and ellipticals, many galaxies within these groups contain irregular shapes and unusually high rates of electromagnetic emissions. 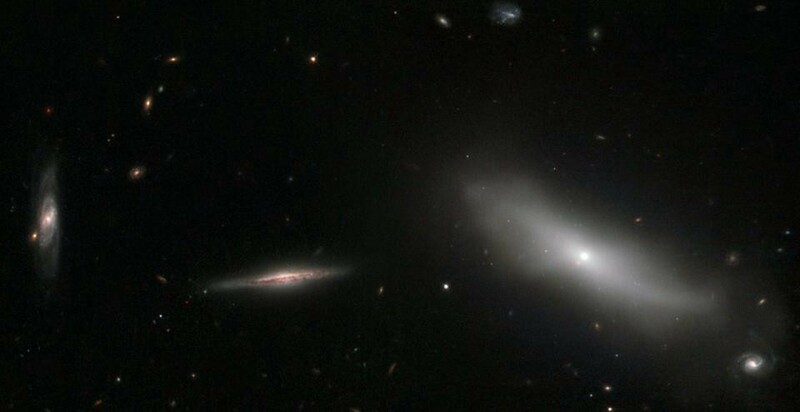 Star formation, gas bridges, and irregularly shaped galaxies are just some of the features arising in Hickson Compact Group 31. Image credit: NASA / STScI / WikiSky / Hubble and wikimedia commons user FriendlyStar. This is due to gravitational interactions between gas within the galaxies, which triggers star formation, infrared and radio emission and can even turn on a central black hole. A wider-field, multiwavelength view of three of the galaxies in HCG 31. Image credit: NASA, ESA, S. Gallagher (The University of Western Ontario), and J. English (University of Manitoba). From a dynamical perspective, their motions are dominated by dark matter, both within the individual galaxies and throughout the group. 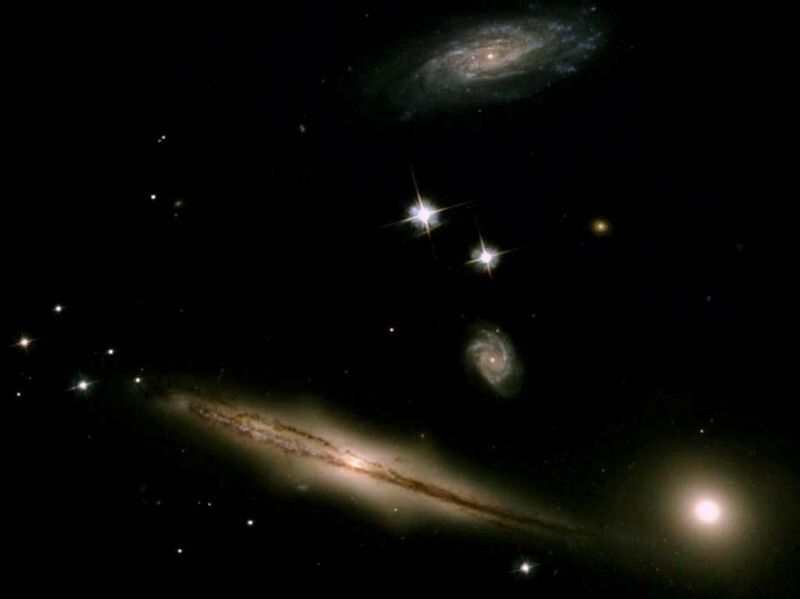 Seyfert’s Sextet was discovered in 1951, and at the time was the tightest grouping of galaxies known. Today, imaged with Hubble, we know that the face-on spiral is many times more distant than the other galaxies, of which there are only four; the “cloud” to the right is a tidal disruption of the galaxy it’s connected to. Image credit: NASA. Nearby compact groups are plentiful, and are short-lived phases where gravitation will lead them to merge into a single galaxy. 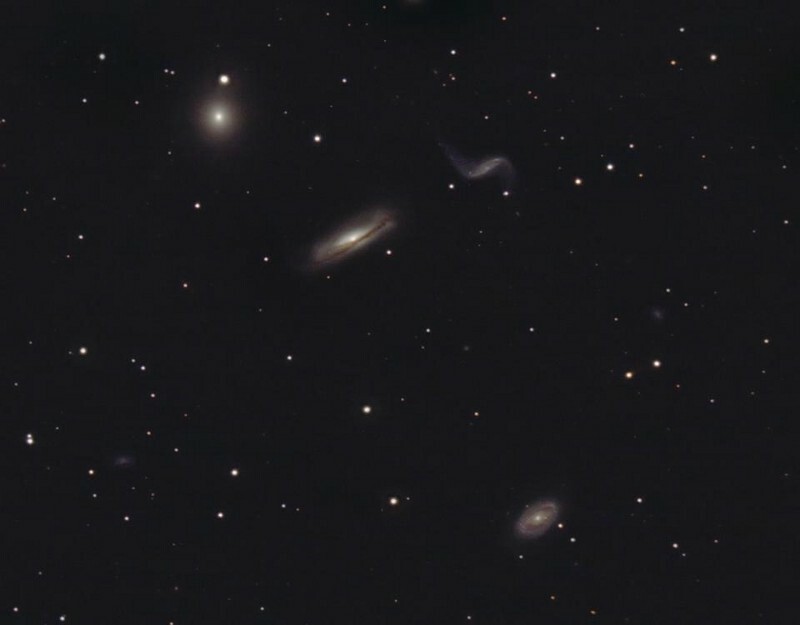 The large galaxy on the right is, along with four other off-frame galaxies, a member of Hickson Compact Group 22. The remaining galaxies show here are background galaxies, unrelated to the grouping. Image credit: ESA/Hubble & NASA; Acknowledgement: Luca Limatola. Only the groups with random non-gravitational alignments will survive for long. Courtesy of NSAS and A Medium Corporation. Enhancements in the world of NEWDAWN will blow your mind!